Prof. Jin-Ming Lin was graduated from Fuzhou University in 1984 and received a PhD at Tokyo Metropolitan University in 1997. He had studied and worked in Showa University and Tokyo Metropolitan University during 1992-2002. He was selected as “100 Talented Researcher Program” for Chinese Academy of Sciences at 2001 and worked in Research Center for Eco-Environmental Sciences, Chinese Academy of Science during 2002-2004. He is currently a professor of Tsinghua University since 2004. 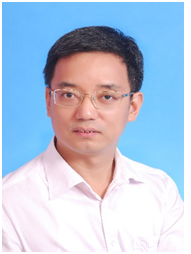 He is a Deputy General-in-Secretary and director of Mass Spectrometry Division of Chinese Chemical Society, a member of council of Chinese Society for Chromatography Science, and service as Editorial Boards for six international journals. He received 23 awards for his contributions in microfluidics, chemiluminescence and separation science. He is the author and co-author of 318 original research papers published in international journals, 28 reviews, 4 books and 41 patents. His current research is focused on microfluidic device, ultraweakchemiluminescence, and sample pretreatment for LC-MS and GC-MS.
Prof. Érico M. M. Flores has a permanent position at Federal University of Santa Maria, in Brazil, performing research and teaching activities. 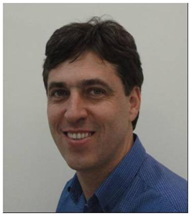 He was the Director of Analytical Chemistry Division of Brazilian Chemical Society and he has experience in the development of methods for sample preparation, ultrasound and microwave applications, speciation analysis and quality control of pharmaceutical and other industrial products using atomic spectrometry and ion chromatography. He has published more than 260 peer reviewed international papers (including Analytical Chemistry, Analytica Chimica Acta, JAAS, Spectrochimica Acta, Talanta, etc), and many patents, books and book chapters in these fields. He developed a new system of microwave induced combustion (MIC) that is commercialized in many countries. Nowadays, he is a member of National Advisory Committee of Chemistry of Brazilian Council for Scientific and Technological Development, a titular member of National Deliberative Council of Brazilian Pharmacopoea, the current Scientific Director of FAPERGS (Foundation of Rio Grande do Sul State for Research Support, Brazil), Fellow of Royal Society of Chemistry, member of Editorial Board of JAAS-RSC (J. Analytical Atomic Spectrometry) and Associate Member of Analytical Chemistry Division of IUPAC. 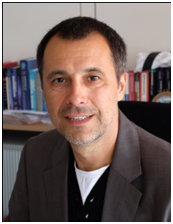 Prof. Boris Mizaikoff joined the faculty at the University of Ulm, Germany, as a Chaired Professor and Director at the Institute of Analytical and Bioanalytical Chemistry in 2007 with prior appointments at the Vienna University of Technology (Austria), and at the Georgia Institute of Technology (USA). His research interests focus on optical chem/bio sensors, tailored (bio)molecular recognition interfaces, molecularly imprinted materials, system miniaturization and integration, and multifunctional (nano)analytical techniques with applications in environmental analysis, process monitoring, and biomedical diagnostics. He is author/co-author of 250+ peer-reviewed publications, 17 patents, and numerous invited contributions at scientific conferences. 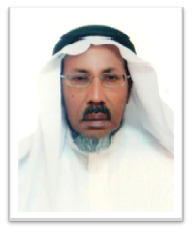 Prof. AbdulrahmanAbdullah Alwarthan is a professor of Analytical Chemistry. He obtained his Ph.D from Hull University in United Kingdom, in 1988. He has chaired several international chemistry conferences. He is a member of the Saudi Chemical Society Council and a member of the College of Forensic Sciences Council at Naif Arab University for Security Sciences. Prof. Alwarthan has published more than 100 research articles in international journals. He has authored several books and has three patents. He has supervised more than 6 Ph.D. students and more than 35 M.Sc. students. Prof. Christine Kranz received her M.S. and Ph.D. degrees in Chemistry from Ludwig-Maximilians University in Munich (1992) and Technical University of Munich (1996), Munich, Germany, respectively. After spending a year as a postdoctoral fellow at Vienna University of Technology, Institute of Analytical Chemistry (Austria), she accepted a position at the School of Chemistry and Biochemistry, Georgia Institute of Technology, Atlanta, where she was appointed to senior research scientist (until June 2008). In July 2008, she has accepted a permanent position at the University of Ulm, Institute of Analytical and Bioanalytical Chemistry (IABC), Ulm, Germany, where she is heading the surface sciences group and coordinates the biosensing research activities at the IABC. In addition, she is the Scientific Coordinator of the Focused Ion Beam Center UUlm, which was established at the IABC in 2008. In February 2014 she obtained the VeniaDocendi (Assoc. Prof. for Analytical Chemistry). Her main research focus is in the field of scanning probe microscopy, in particular scanning electrochemical microscopy (SECM), multifunctional scanning probes (e.g. combination AFM- SECM, IR-SECM, IR-AFM), and miniaturized amperometric biosensor technology, integrated microsystems, biomimetic sensors, and (FIB)-based microfabrication. 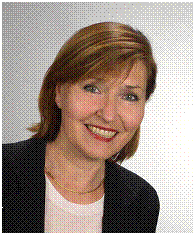 She has authored 9 Patents (2 national patents, Austria and 7 PCT Int. Appl. ), more than 120 publications in internationally reviewed journals, and more than 100 lectures presented at international and national conferences. Since January 2012, Dr. Kranz is member of the Editorial Board of Frontiers in Renal and Epithelial Physiology. 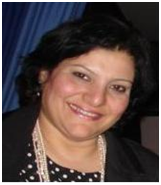 Prof. Mama El Rhazi obtained her MSc Honours in Electrochemistry from the University Pierre et Marie curie, France and her PhD in electrochemistry in 1992 under the direction of Prof. Claude Deslouis and B.Tribolet investigating the modified electrodes by impedance techniques. She started her career by teaching chemistry in the university of Versailles saint –Quentin (France). She then moved to the University of Hassan II- Mohammedia (Morocco). She was also invited as associate professor in university of Cergy-Pontoise – France, during 1994 and 1996. She is currently professor in department of chemistry in Faculty of Sciences and Technologies of Mohammedia. 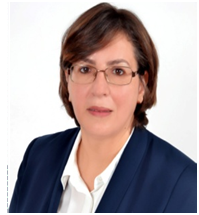 She is President of Moroccan Society of Analytical Chemistry for sustainable development, vice president of Federation of African Societies of Chemistry and member of Pan African Chemistry Network (PACN). She is also president of Arab Union of Chemists (2016°). Her research interests include electroanalysis, modified electrode by conducting polymers / and nanoparticles or by metallic film as bismuth for detection of heavy metals or organic compounds She has supervised more than 10 Ph.D. students and published 50 papers. Prof. Nagwa Nawar head of Chemistry Department and Professor of Organometallic and Inorganic Chemistry at Mansoura University. Ph.D. from the University of Liverpool, U.K. in 1989. Faculty Affiliate Position at Brigham Yong University, Utah. Team Leader of the Science Alumni Circle of the Binational Fulbright Commission in Egypt (2010-2011. TWAS-UNESCO Associateship at the State Kay Laboratory of Catalysis, Chinese Academy of Science, Dalian, China hosted in 2013 and 2015. Director of the ESPRC at Mansoura University for five years. Won several research awards in chemistry in 2001. Active member of European Chemistry thematic network (ECTN) since 2003. Expertise in aspects of organometallic and coordination chemistry recently.